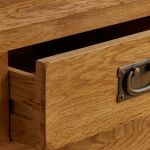 In need of more drawer space? 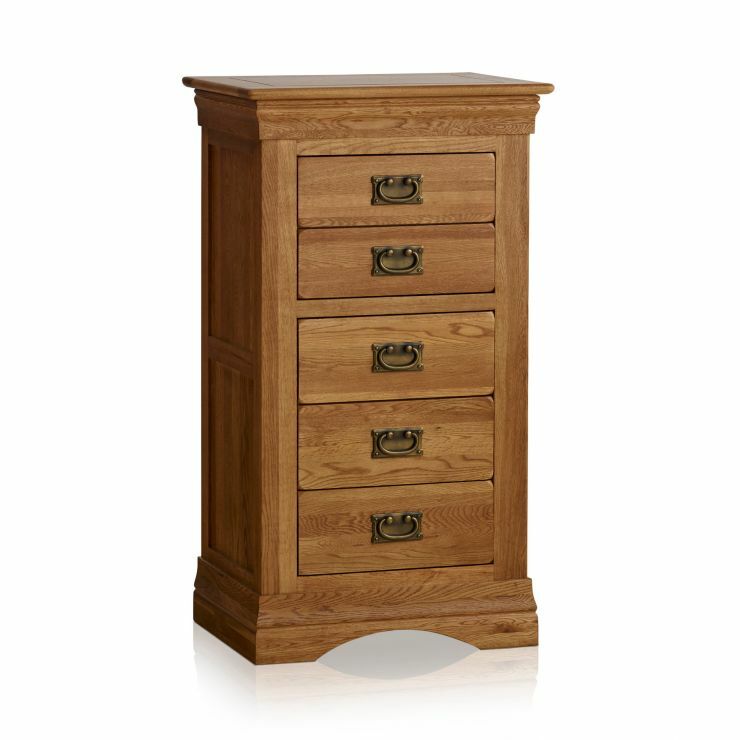 Have a look at this resplendent French Farmhouse Rustic Solid Oak tallboy. 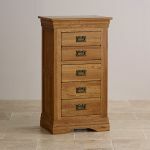 Crafted by expert joiners from the finest cuts of solid oak, it flaunts a dazzling array of design features including flared cornices, softly rounded edges and antiqued drop bar handles. 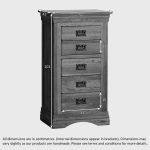 The collection is inspired by antique French furniture, particularly pieces from the Louis Philippe period, and will look great in a period or contemporary setting. 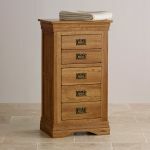 Each drawer is solidly put together using resilient dovetail joints which are noted for being exceptionally strong and durable. 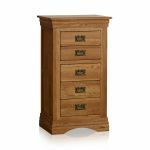 We only ever use the finest materials in our furniture - the backs and bases of the drawer are crafted from the same top quality oak, as is the back of this chest of drawers. Browse the rest of this luxurious range to discover how easy it is to co-ordinate your home.